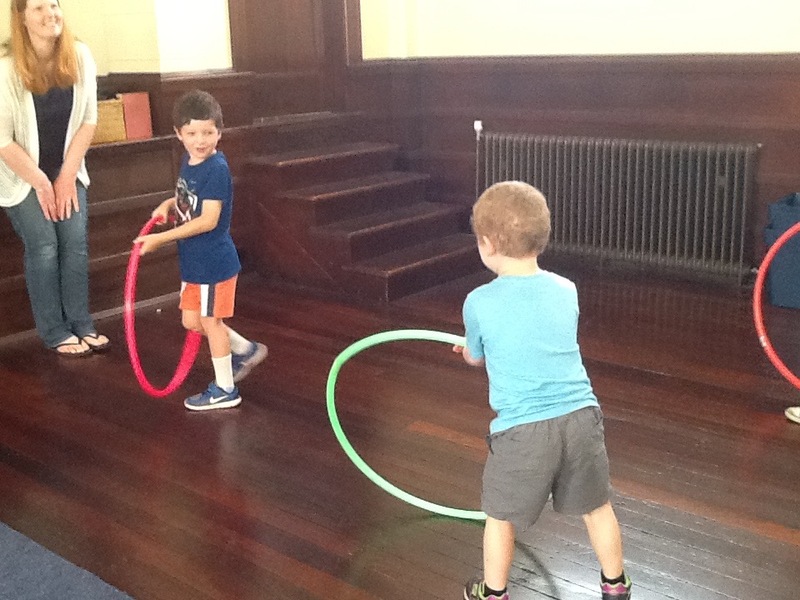 Room 9 Learners on the Move! 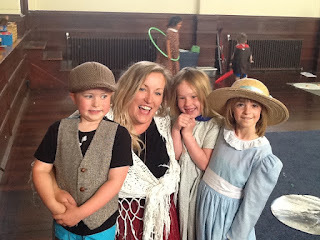 The eager explorers from Room 9 had a FABULOUS day today experiencing life in a classroom from the 1900s, and doing AMAZING art pieces! 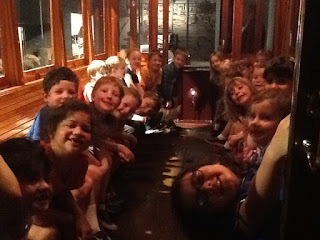 First we hopped on a fun bus ride all the way to Toitū. When we got to Toitū we were met by the Education Facilitator, Sara. 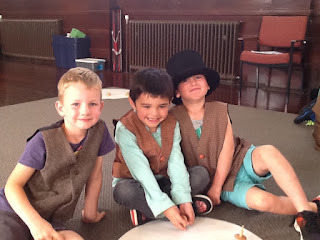 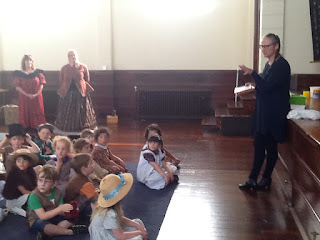 Sara took us up to a special room at Toitū, where we got to play games that children from the 1900s would have played. 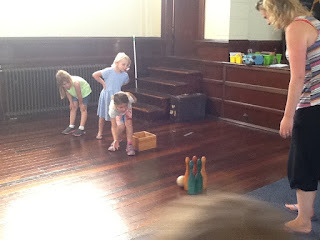 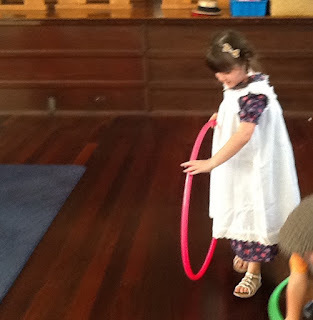 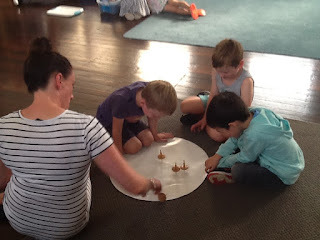 We had such fun playing with marbles, skittles, spinning tops and hoops. 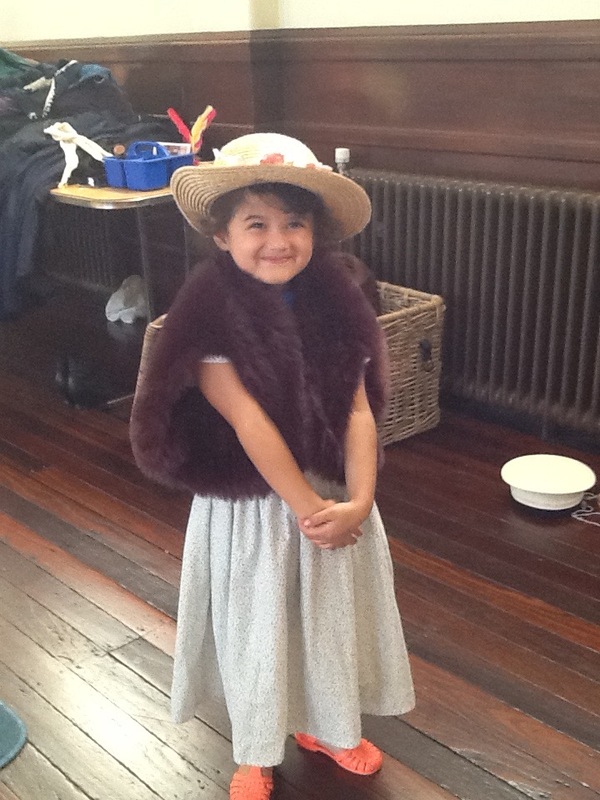 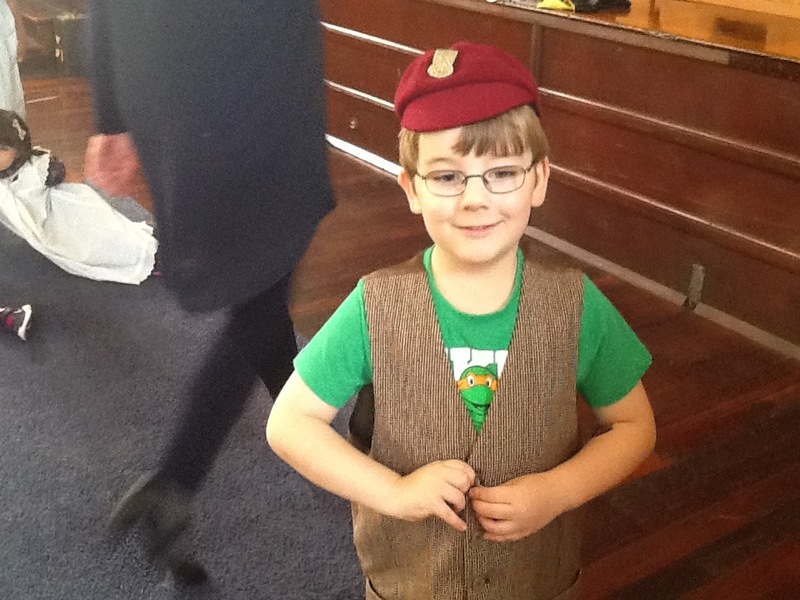 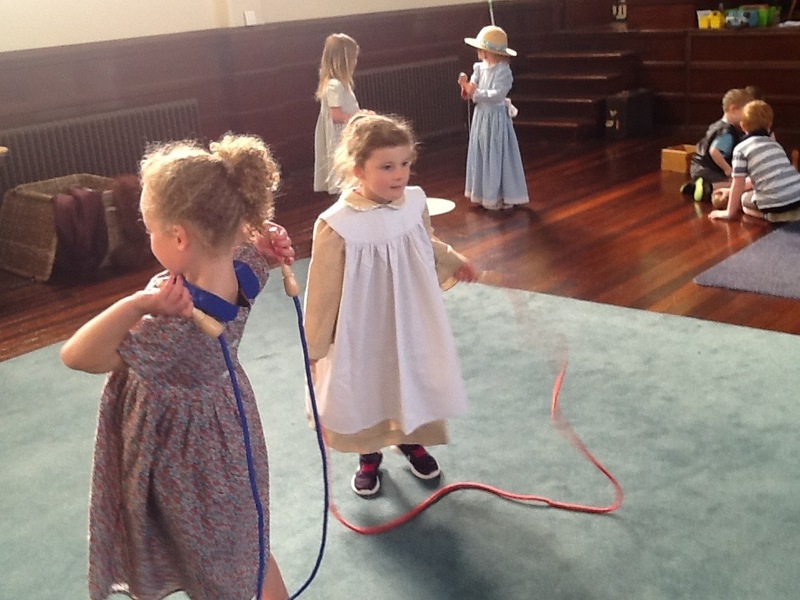 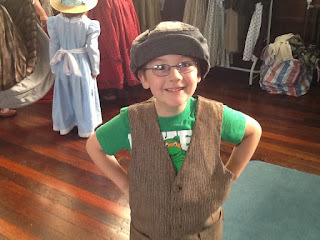 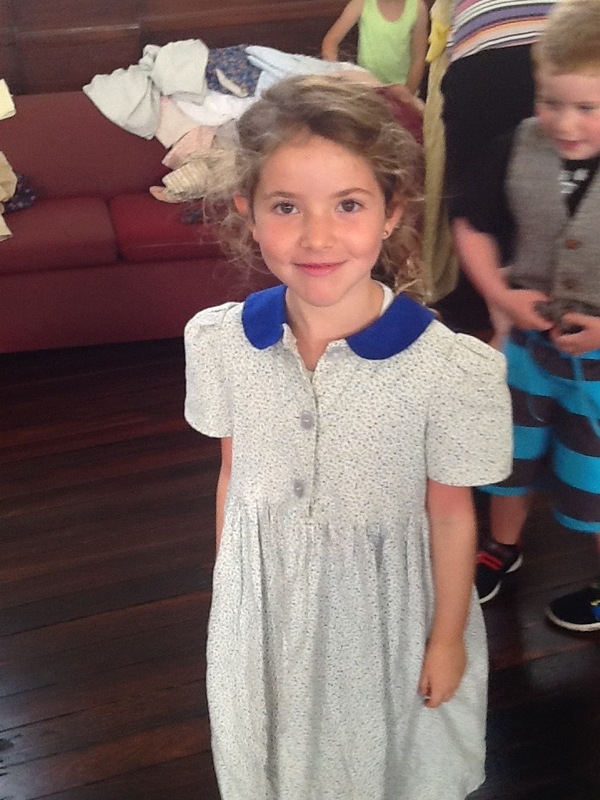 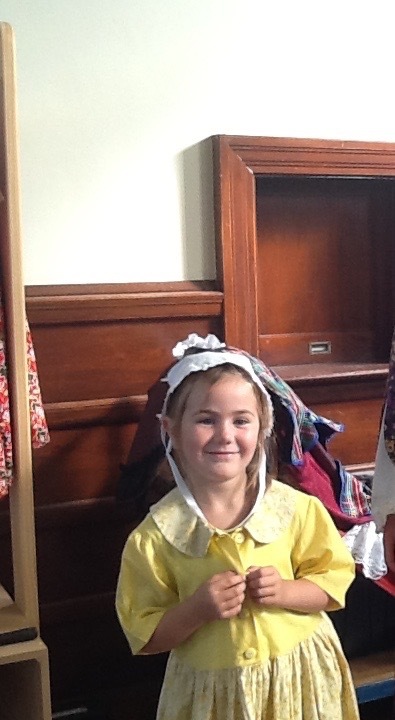 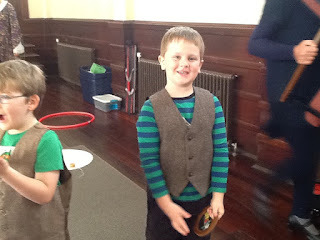 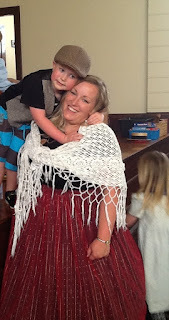 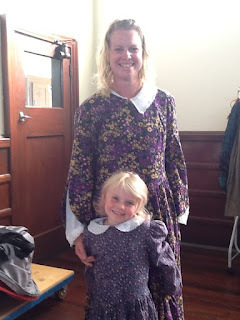 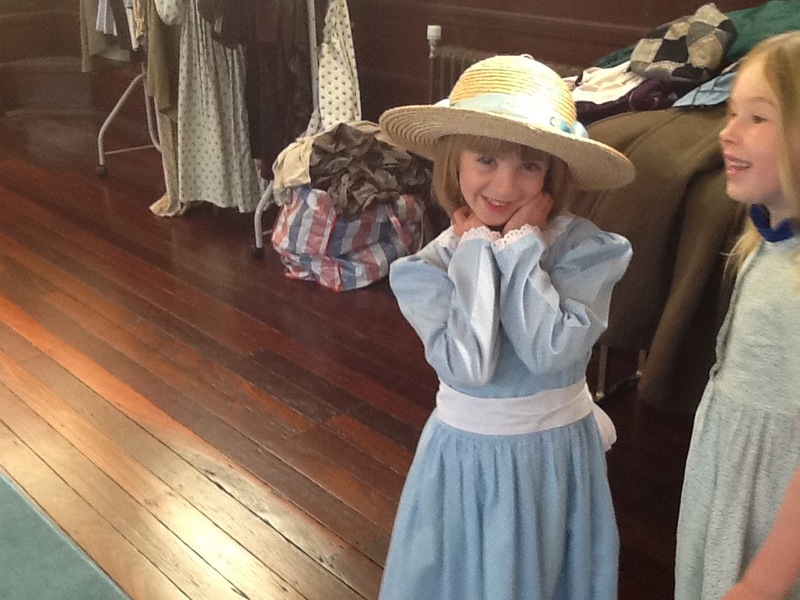 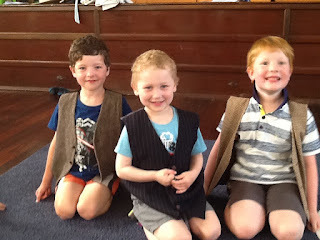 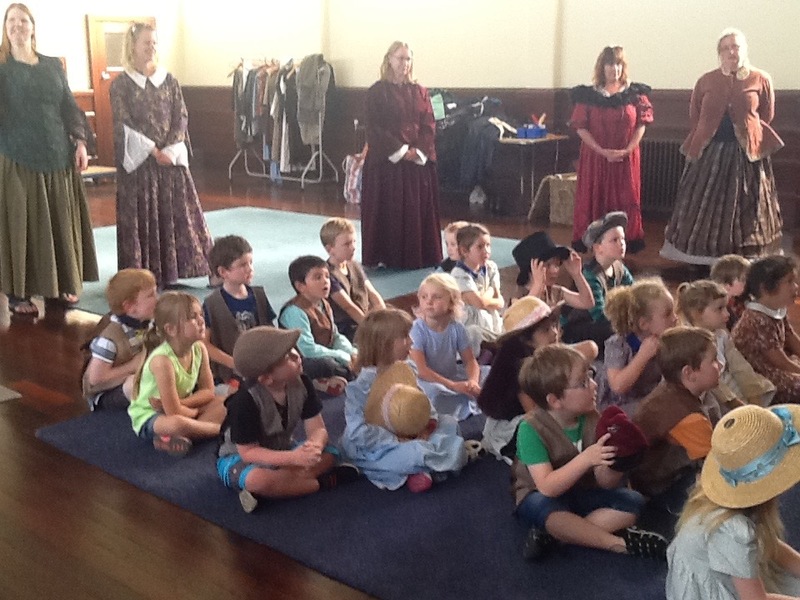 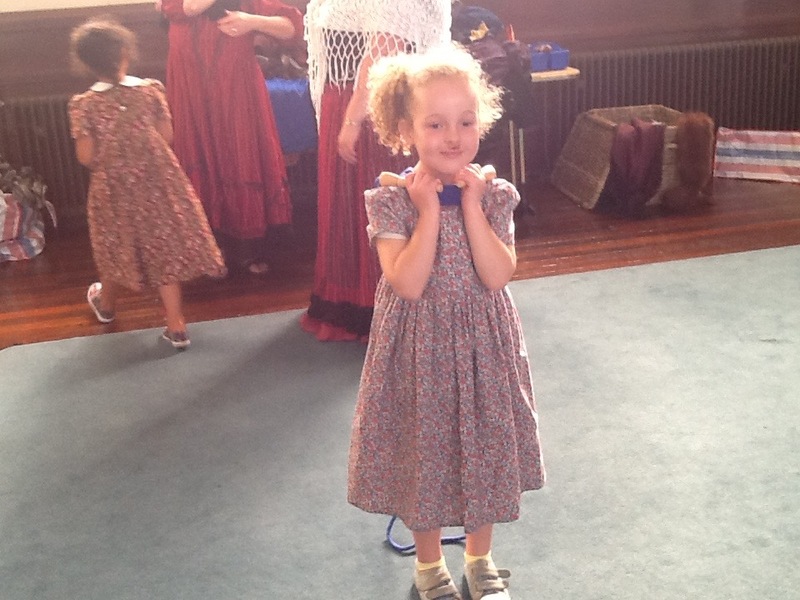 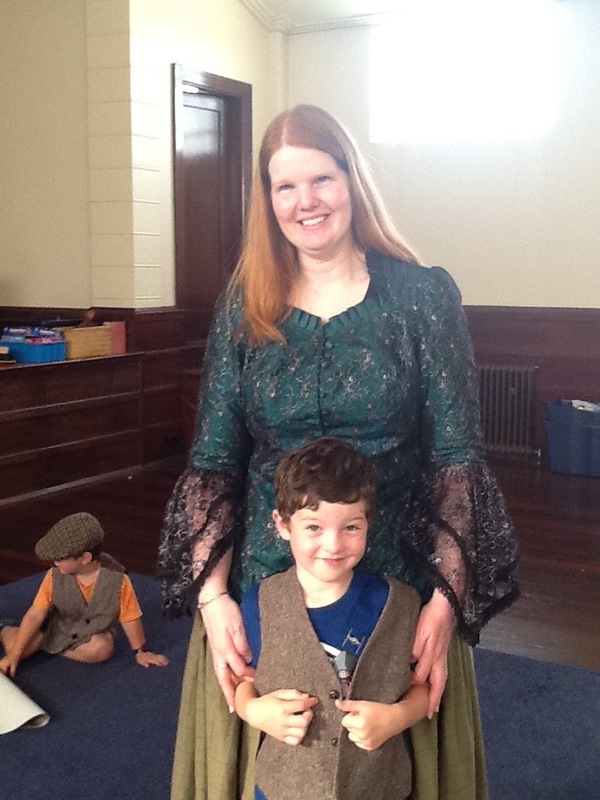 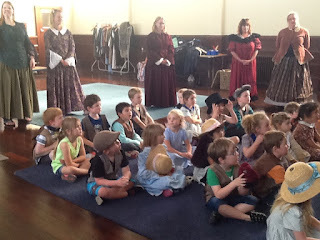 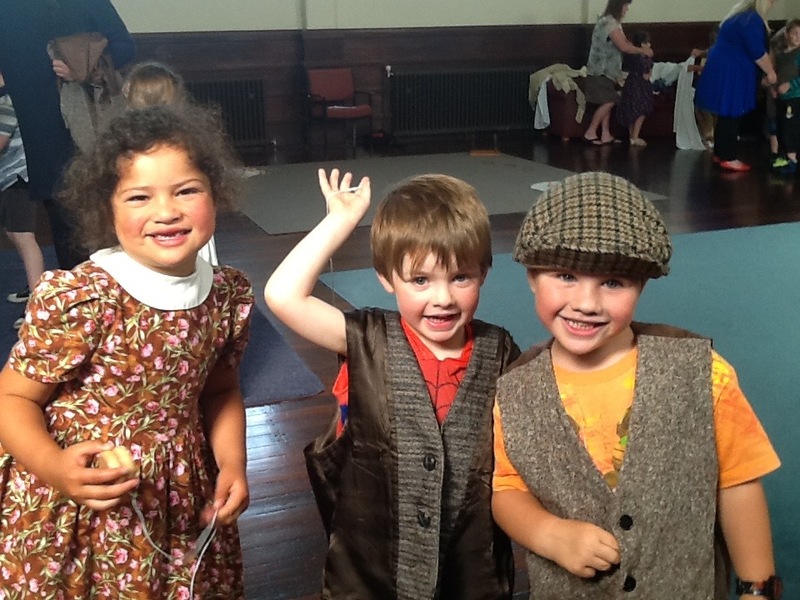 We even got to dress up as olden days children! Even the parents and Mrs Bonney got to dress up! 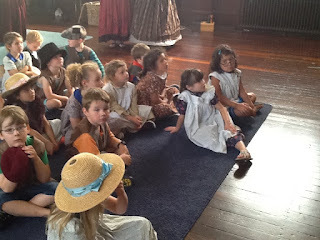 It sure was hot in our olden days clothes! We discovered that adults treated children a lot differently in the 1900s than they do today. 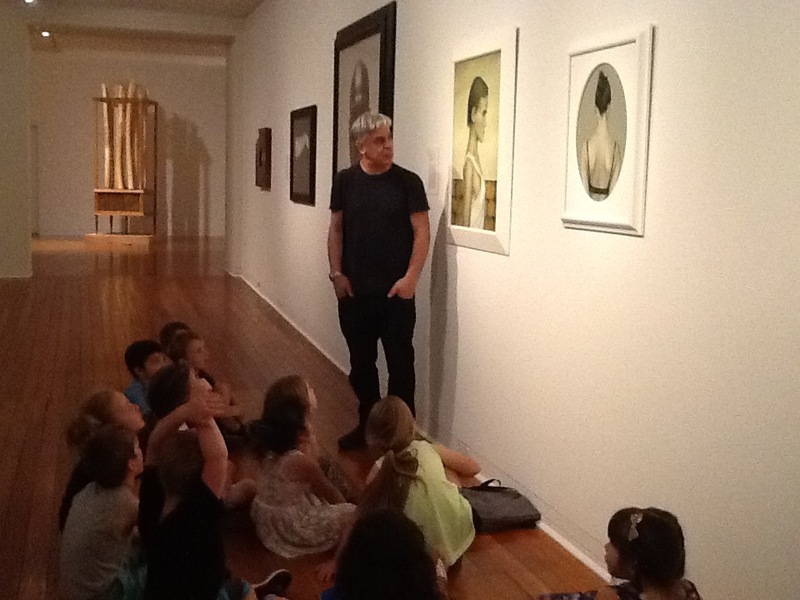 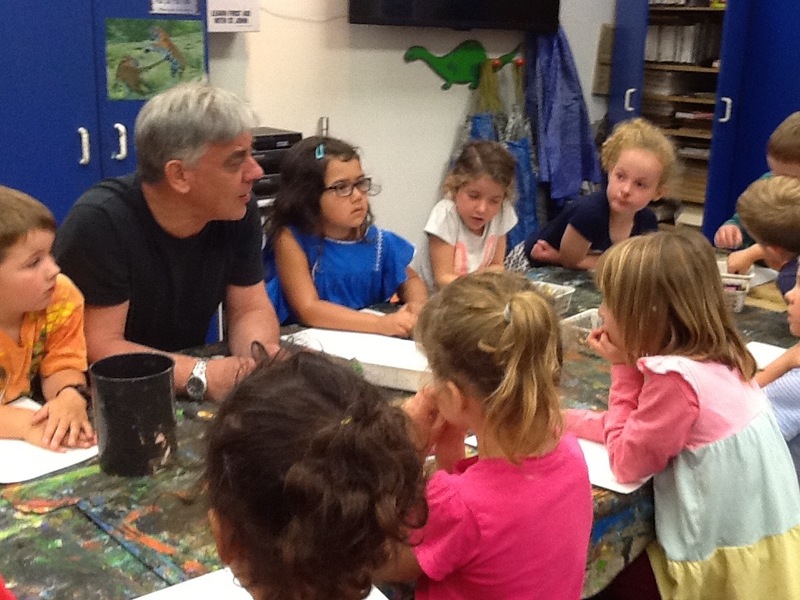 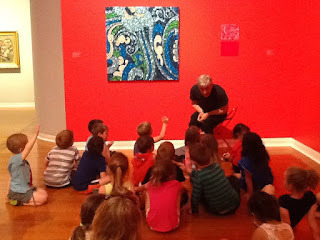 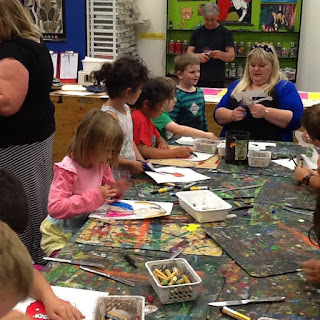 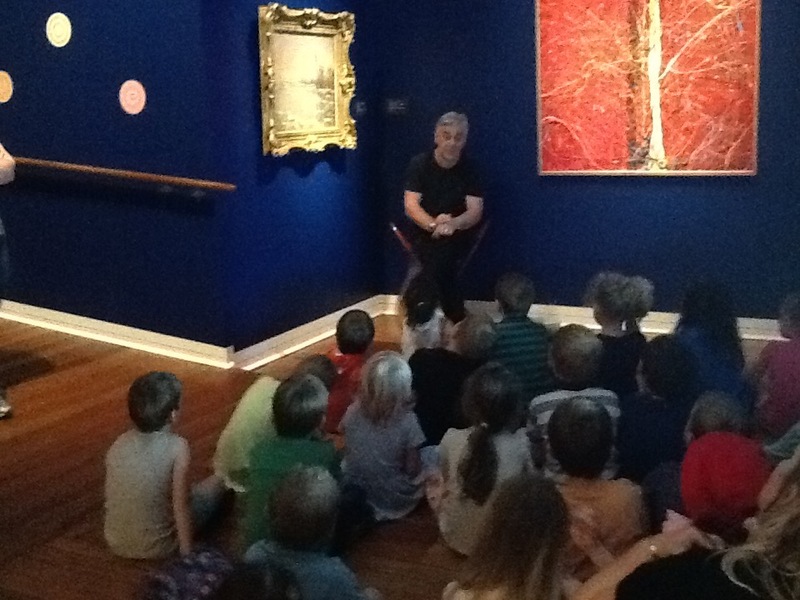 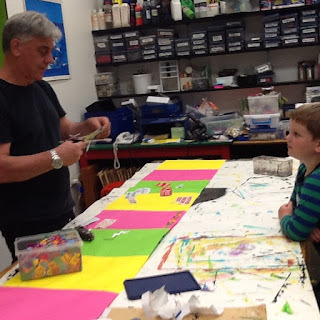 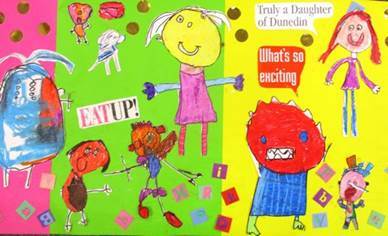 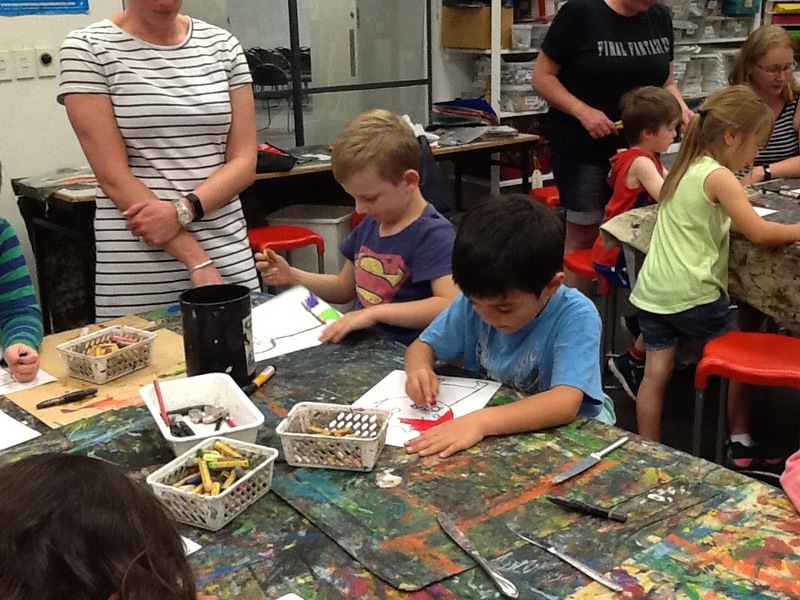 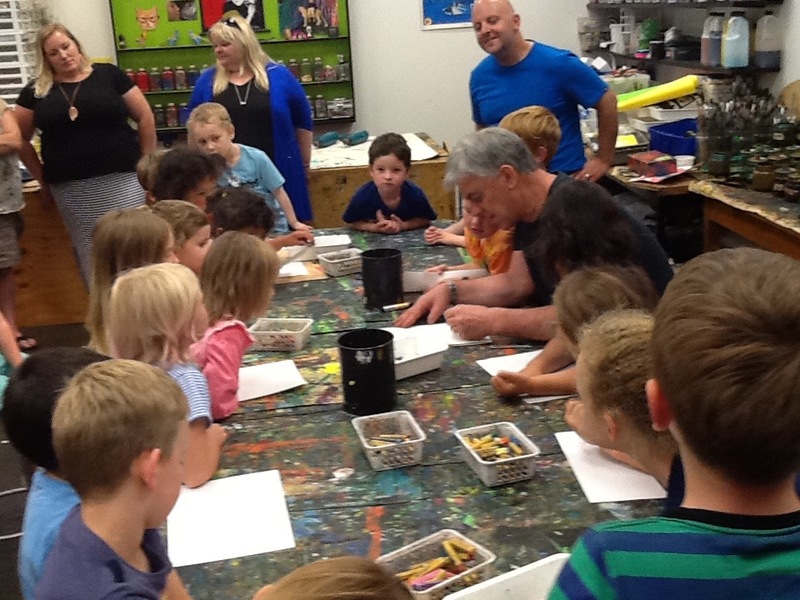 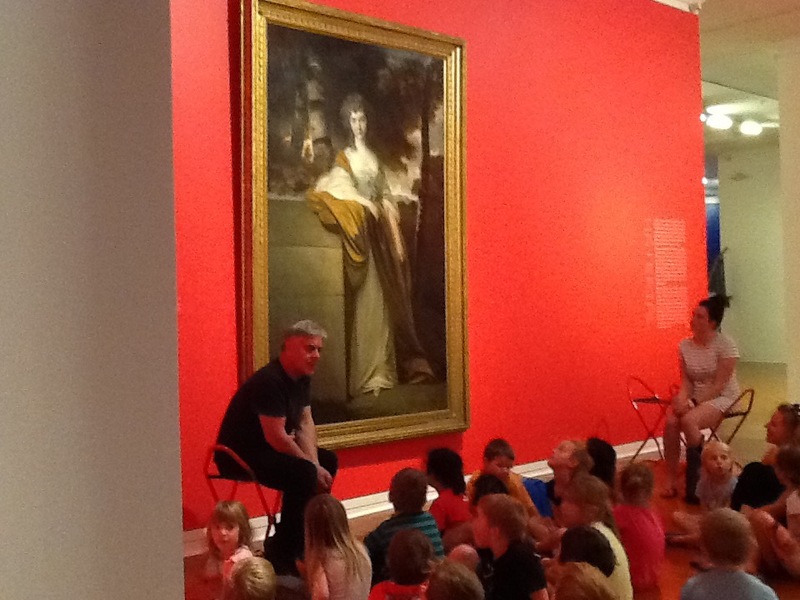 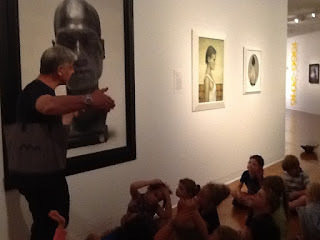 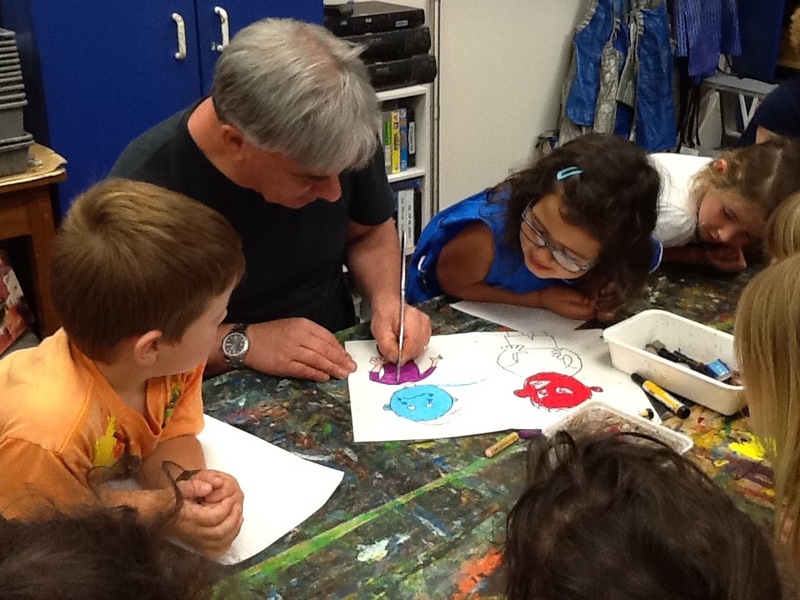 When we finished our activities at Toitū we walked all the way to the Art Gallery, where we met John Neumegen, the Education Teacher. John showed us some of the beautiful artworks at the gallery and talked to us about the use of colour to show emotions, and the way different artists have done portraits of people over the years. John even showed us some abstract artworks and asked us what we saw - it was fun exploring our ideas about these different art pieces. 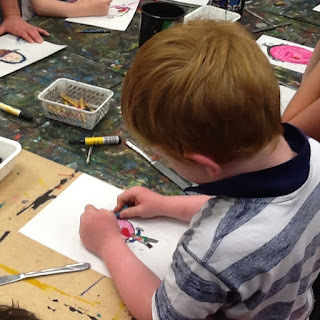 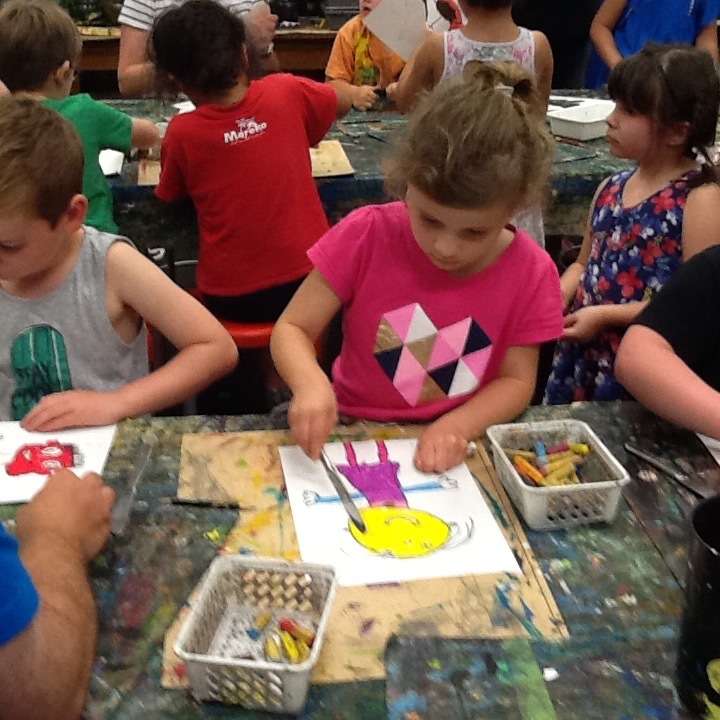 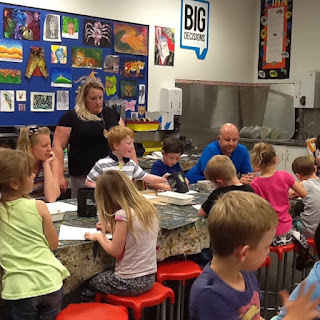 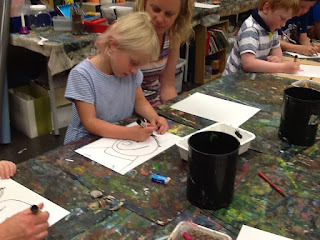 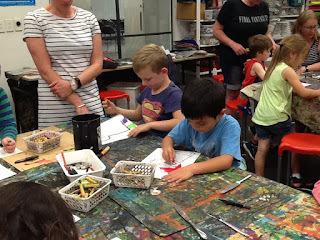 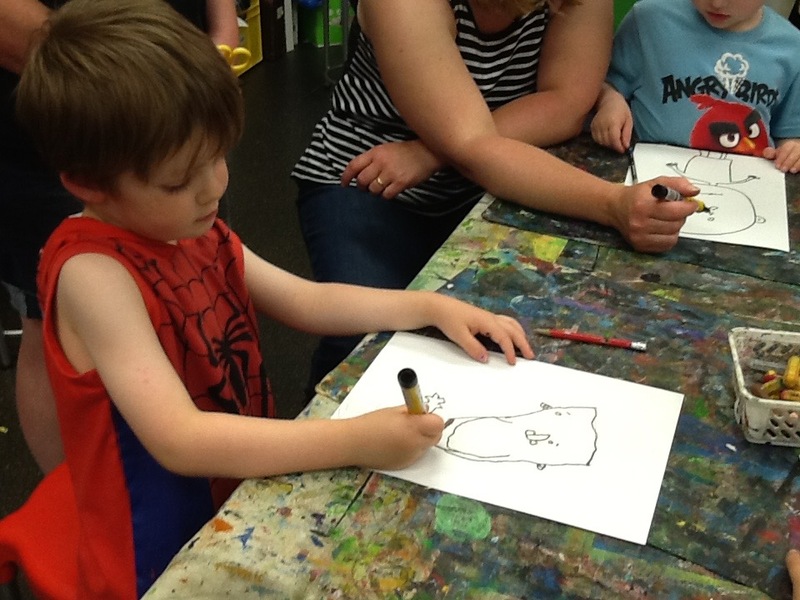 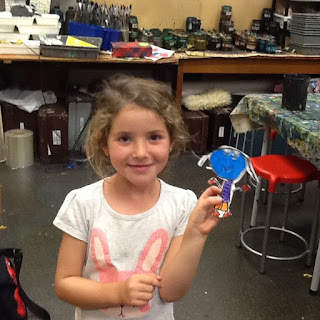 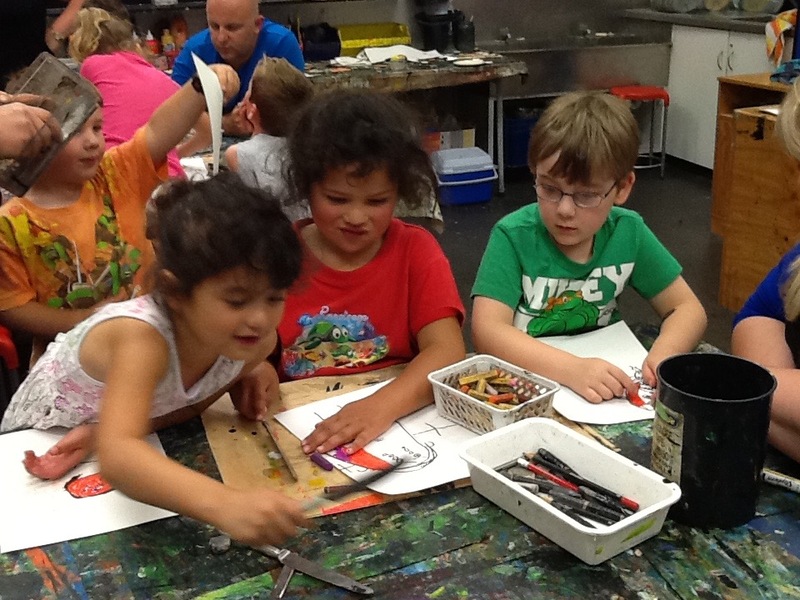 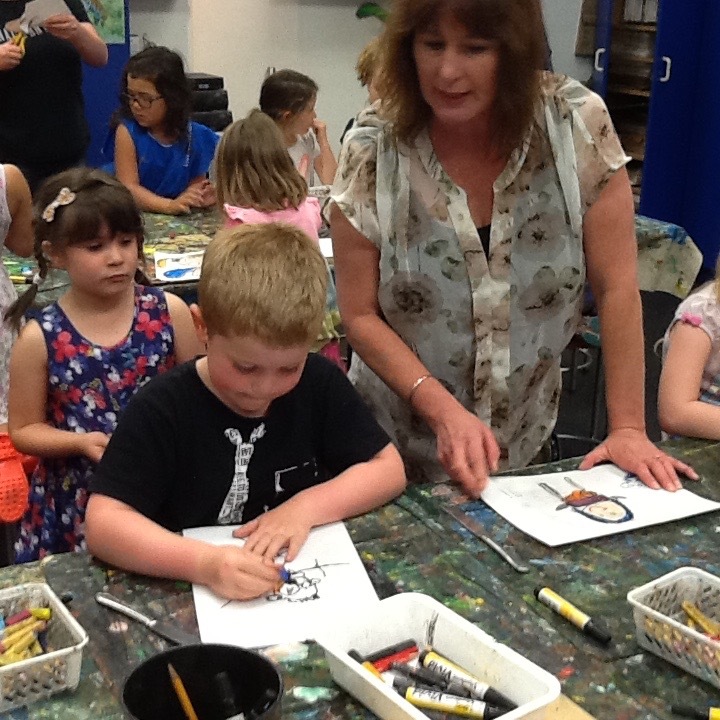 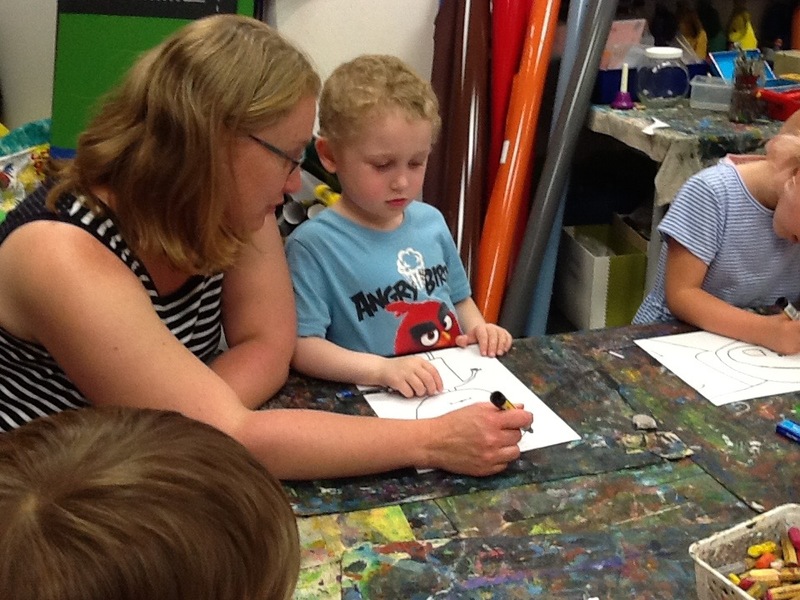 At the Art Gallery we then got to make our own art pieces! 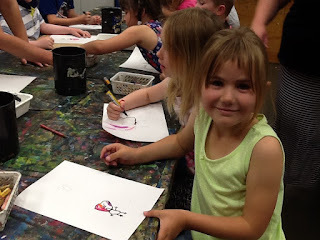 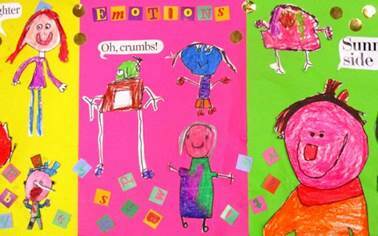 We had fun demonstrating emotions in the pictures we drew. 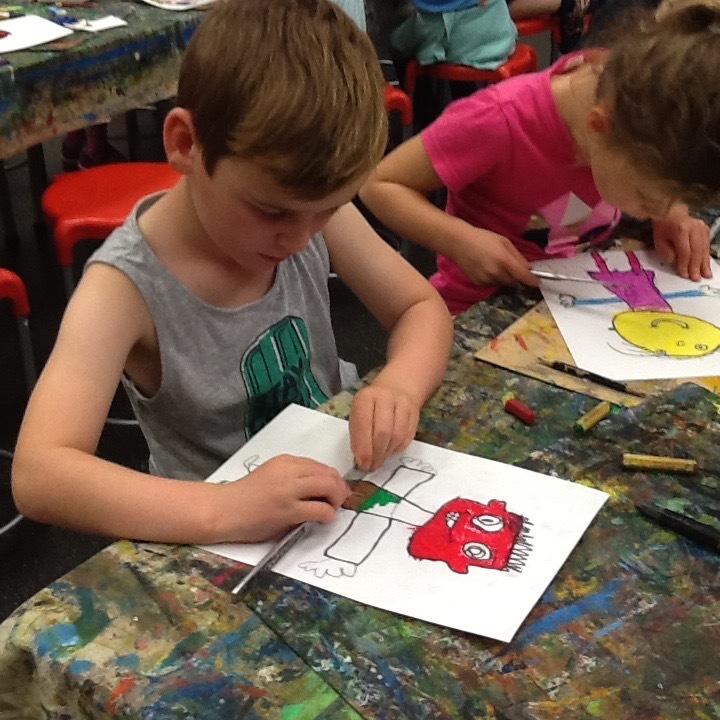 We coloured in with pastels and then used butter knifes to make some stripes on the pastel colours, or to smooth out the pastel. 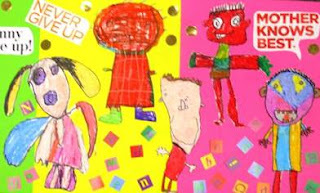 Have a look at the photos to check out our SPECTACULAR artwork! It is also hanging up in Room 9 if you would like to see the original master piece. Fascinating Changes in Room 9! 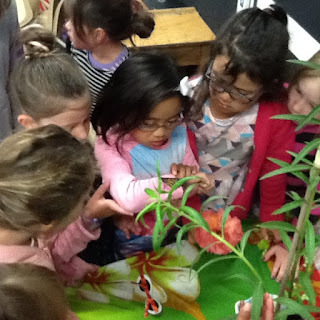 We have been learning about the life cycle of butterflies in the Junior Syndicate, and Rooms 8 & 9 have been looking after an adorable caterpillar. Our caterpillar created a green chrysalis which then became almost see through at then end of her time in there! 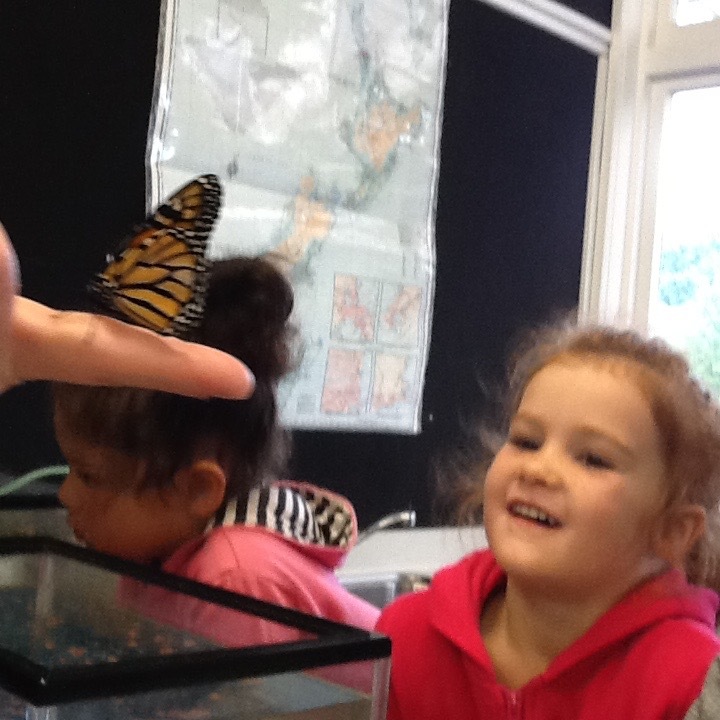 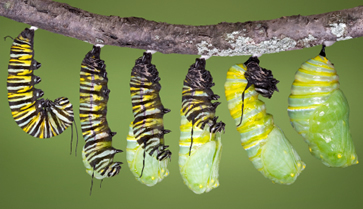 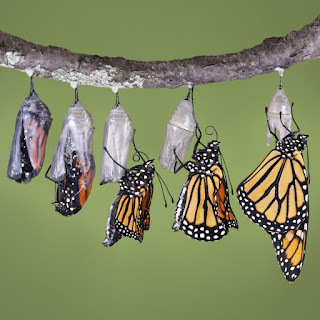 Our caterpillar was under going some interesting changes in her chrysalis and this morning when we arrived in Room 9 we discovered that she had hatched into a beautiful monarch butterfly!! We gave her some yummy nectarine for her breakfast then set her free outside after playtime. 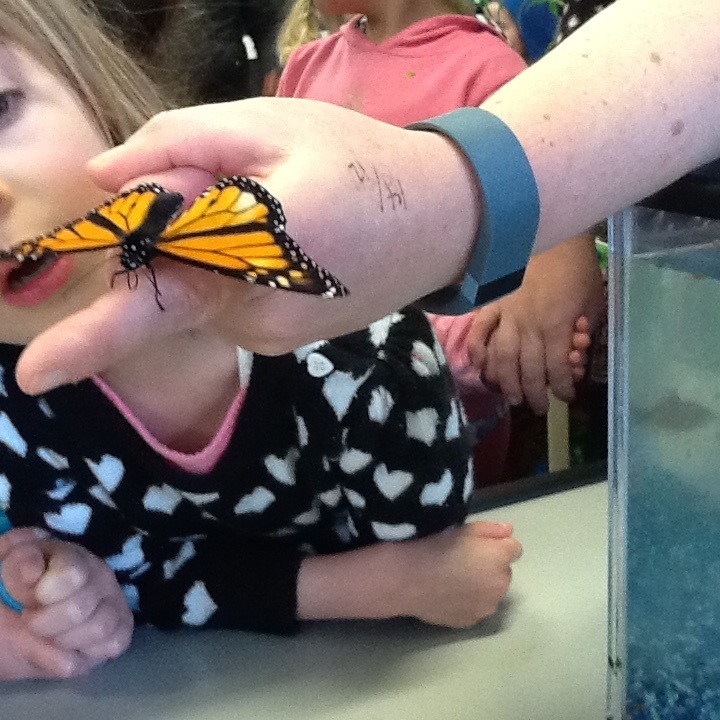 We hope she has found some butterfly friends to play with! Even more exciting is that we have been gifted two more caterpillars from Felix's mum, so we get to watch the transformations all over again!